It is possible to have crispy, Oven Baked Sweet Potato Fries right at home! Follow these tips and tricks and you will have crispy sweet potato fries that your whole family will love! Serve up these delicious sweet potatoes with Homemade Sloppy Joes, BBQ Chicken Drumsticks, or Quinoa Burgers for a delicious meal! It has taken me a long time to perfect crispy oven baked sweet potato fries. They are not quite as easy to make as traditional Oven Baked Fries, but the effort is SO worth the result. 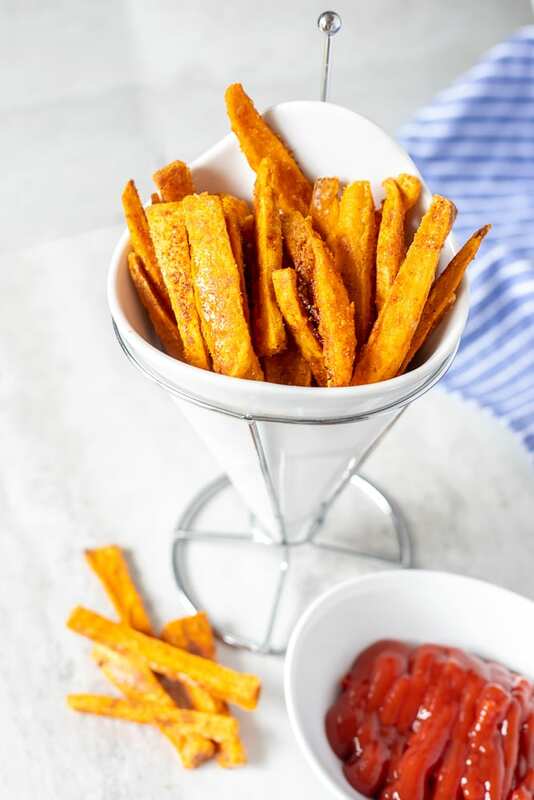 This recipe makes perfectly seasoned, perfectly crispy, sweet potato fries–that taste just like the kind you buy at the super market! If you have ever bought a bag of frozen sweet potato fries, you may ask yourself, why you can never make sweet potato fries from scratch as crispy as those frozen fries. I felt the same way. UNTIL NOW! 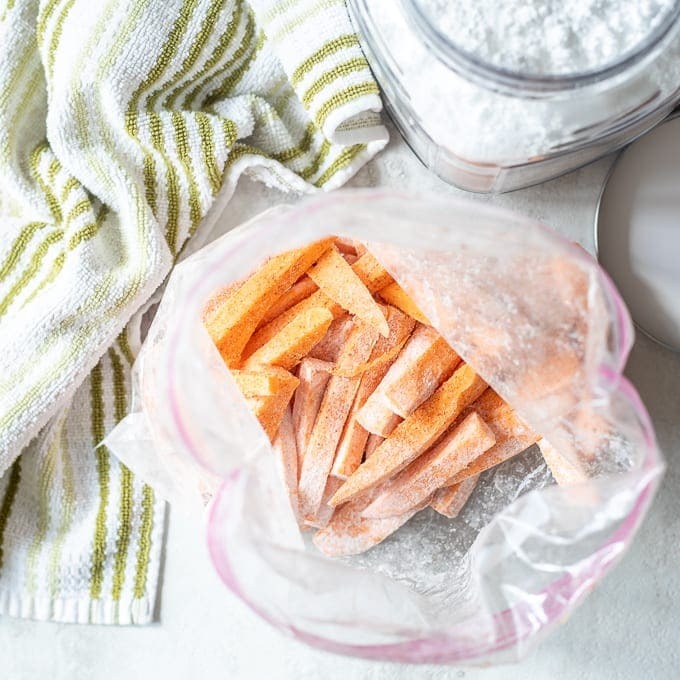 Upon studying the ingredients, there is one common factor that I had overlooked for years in my quest to make crispy baked sweet potato fries–cornstarch or rice flour! This my friends is the magical ingredient that will help you make the BEST Sweet Potato Fries ever–right at home! 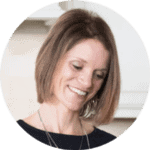 I know you are about to ask–Do I really need to soak my sweet potato fries in water before baking? The answer is YES. I am all about short-cuts, but if you want crispy sweet potato fries, you really do NOT want to overlook this step. Cut into 1/2 inch sticks. Place sweet potato fries in large bowl and cover with cold water. Soak for at least 60 minutes. 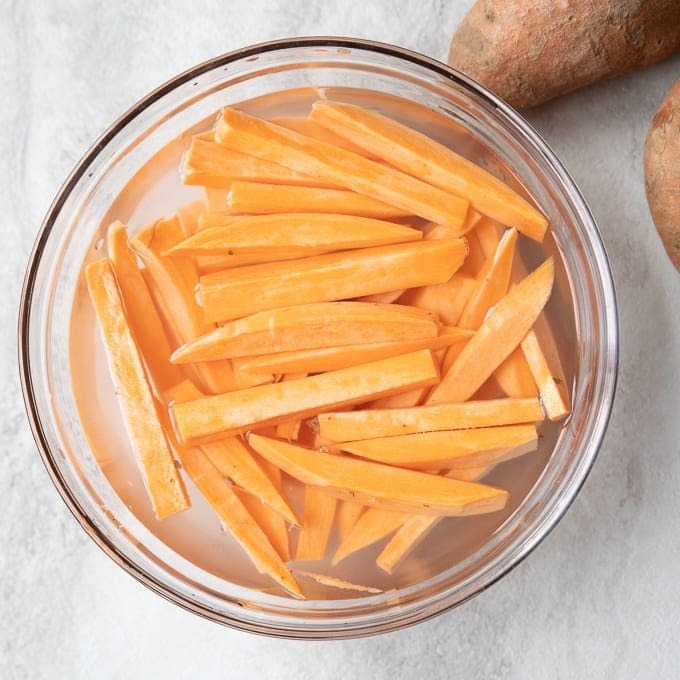 Pro Tip: Cut up sweet potato fries the night before you plan to serve them (while you are prepping dinner the night before or meal-prepping for the week) and leave your sweet potato fries soak in cold water in the fridge for up to 3-4 days. 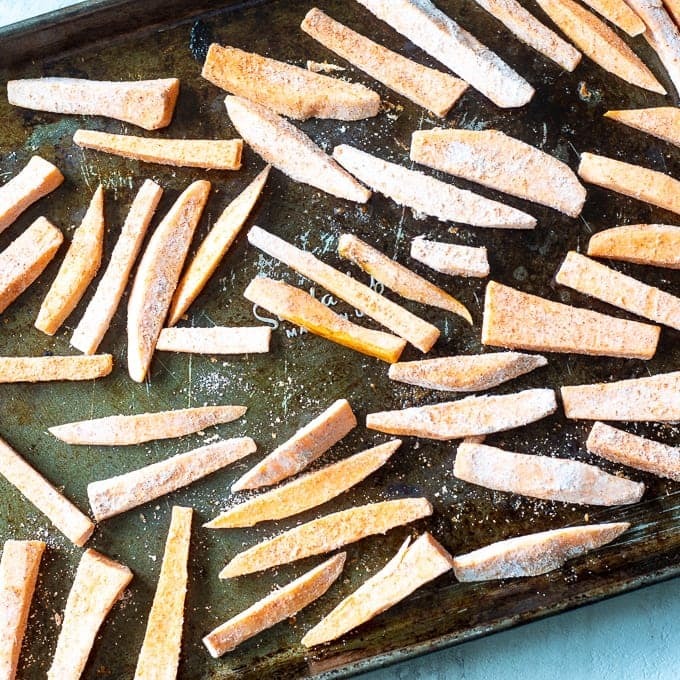 Another crucial tip to crispy sweet potato fries is to bake the fries on a pre-heated greased baking sheet. This acts almost like a fryer to immediately sear the outside of the sweet potato. Pour 1 tablespoon oil on large rimmed baking sheet and brush evenly with pastry brush. If you are making more than 4 servings, you will need to prepare 2 baking sheets, as you don’t want your fries to be over-crowded and steam on the baking sheet. Place pan in oven while oven is preheating to 425 degrees. Now it is time to drain and coat sweet potato fries–this is CRUCIAL for crispy fries, plus the seasoning is perfection! Drain sweet potatoes from water and dry thoroughly. 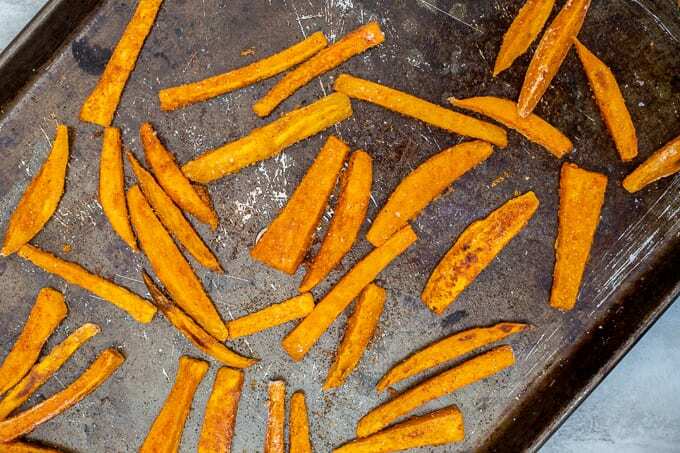 Tip: Use a clean kitchen towel to really dry the fries well–you don’t want ANY water left on your sweet potato sticks. In a gallon size bag, toss cornstarch with seasonings. Add fries and toss to coat. Carefully remove heated pan from oven. Take fries out of mixture, shaking off excess, and place evenly on baking sheet, being sure to leave space around each fry. Bake for 20 minutes, then flip the fries, and bake for an additional 10 minutes. While we did already season our fries, we did not salt them–this is another tip to keep them crispy and crunchy! Generously salt fries after they have cooked and serve. We rarely have leftover sweet potato fries, but on the off chance you do, store in air tight container for up to 4 days. When you are ready to reheat, place on baking sheet and crisp up fries for 10-15 minutes at 425 degrees. To Freeze Sweet Potato Fries, bake as directed and allow to cool completely. Store in freezer safe bag for up to 3 months. To bake, place frozen fries in even layer on baking sheet and bake for 25 minutes at 235 degrees, flipping after 15 minutes. Soaking the sweet potatoes is a MUST to remove excess starch from the potatoes, this tip will help tremendously in achieving crispy sweet potatoes. 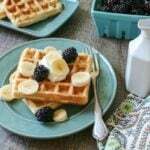 I prefer cornstarch, but if you are corn free or have a corn allergy, use rice flour. Be sure to use canola, vegetable, peanut, or coconut oil to cook these sweet potato fries, as those oils have a high smoking point which is necessary when baking at such a high temperature. Olive oil will not work for this recipe. I peel my sweet potatoes for even texture, but feel free to leave peel on fries. Remember–do not salt until AFTER baking fries. Use any seasonings you like in the coating–just be sure it is salt free. Or check out my healthy Sweet Potato Recipes for a ton more sweet potato recipes. It is possible to have crispy, Oven Baked Sweet Potato Fries right at home! Follow these tips and tricks and It is possible to have crispy, Oven Baked Sweet Potato Fries right at home! Follow these tips and tricks and you will have crispy sweet potato fries that your whole family will love! Peel sweet potatoes and cut into 1/2 inch sticks. Place sweet potato fries in large bowl and cover with cold water. Soak for at least 60 minutes. Pour 1 tablespoon oil on large rimmed baking sheet and brush evenly with pastry brush. Drain sweet potatoes from water and dry thoroughly. In a gallon size bag, toss cornstarch with garlic powder, onion powder, and paprika. Add fries and toss to coat. Pro Tip: Cut up sweet potato fries the night before you plan to serve them (while you are prepping dinner the night before or meal-prepping for the week) and leave your sweet potato fries soak in cold water in the fridge for up to 3-4 days. • Tip: Use a clean kitchen towel to really dry the fries well--you don't want ANY water left on your sweet potato sticks. 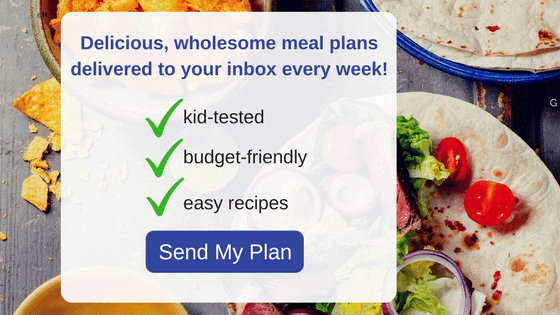 • If you are making more than 4 servings, you will need to prepare 2 baking sheets, as you don't want your fries to be over-crowded and steam on the baking sheet. • Soaking the sweet potatoes is a MUST to remove excess starch from the potatoes, this tip will help tremendously in achieving crispy sweet potatoes. • Be sure to use canola, vegetable, peanut, or coconut oil to cook these sweet potato fries, as those oils have a high smoking point which is necessary when baking at such a high temperature. Olive oil will not work for this recipe. • I peel my sweet potatoes for even texture, but feel free to leave peel on fries. • Remember--do not salt until AFTER baking fries. • Use any seasonings you like in the coating--just be sure it is salt free. Thank you for all the tips on making fries from real sweet potatoes! This was very helpful. So glad you enjoyed Justine!